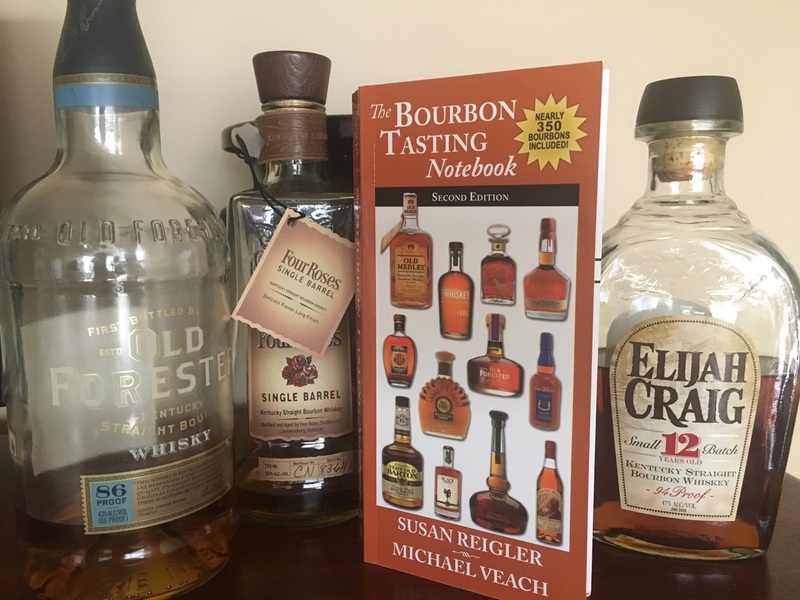 Susan Reigler and Mike Veach, two of the most knowledgeable bourbon writers, collaborated a few years ago for The Bourbon Tasting Notebook which gave us honest reviews without debate-inducing rankings or “bourbon of the year” proclamations. Mike and Susan provide their respective tasting notes—which are often different comparatively—to embrace the reality that we all experience bourbon uniquely. I would have expected more similarities, so it was fascinating to see their themes and preferences play out through the nearly 350 (!) reviews of bourbon from major producers, craft distillers, and merchant bottlers. The Bourbon Tasting Notebook begins with a primer on what it takes to qualify as bourbon, along with a summary of the different sources of bourbon’s varied, rich flavor profiles. But the rightful focus is on tasting notes. The genius of The Bourbon Tasting Notebook is in resisting the temptation to provide rankings or scores and instead allowing readers to decide personally which bourbons are their favorites. At the same time, the book avoids being drearily neutral. Each bourbon includes a “Notes” section used primarily to give additional information about provenance, food pairing or cocktail suggestions, or batch specifics. Occasionally those notes veer to singing high praise—“Worth every penny of the sticker price. Beautifully complex and balanced.” (Wild Turkey Russell’s Reserve). And less frequently, the notes issue a polite warning to avoid the bourbon—“Contents not unpleasant, but should be much better for the money.” (Calumet Farm). Even with those assessments, the form and lack of rankings foster personal exploration and enjoyment. And of course, each page has space for the reader’s own thoughts and impressions. I don’t think that I’ve ever commented on a book’s index before, but the indices in The Bourbon Tasting Notebook are helpfully prepared not just in the standard alphabetical format, but also separately by proof, style, and price, which combined with the book’s sensible organization, makes finding specific brands a breeze. Given the rapidly-changing landscape of bourbon, we should be hoping for a new edition of The Bourbon Tasting Notebook every few years. Another 50 bourbons will probably be on the market by 2020, existing brands will have undergone changes in flavor profiles, and brands that have lost their age statements (like Elijah Craig and Very Old Barton) can be updated. I hope that Susan and Mike continue to be the duo to memorialize the vast library of bourbon. In the meantime, the second edition of The Bourbon Tasting Notebook is timed perfectly for summer and the new bourbon season. Plus, Acclaim Press kept the price at $19.95 despite 50% growth from the first edition. Here’s the Amazon link, enjoy!